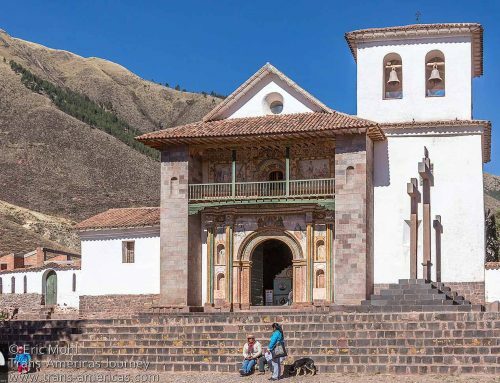 Two boutique hotel surprises in Bolivia, a terrific value in the mountains of Peru, a hip beach sleep in Chile, and more great hotels in South America. 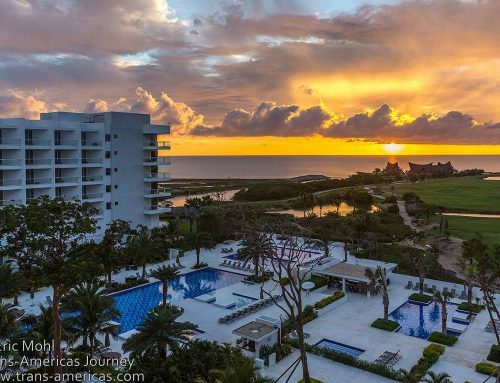 Welcome to part 2 in our Best of the Trans-Americas Journey 2017 series–our guide to the Best Hotels of the year. 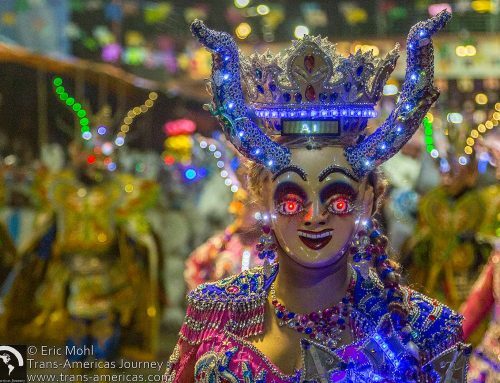 Part 1 covers the Top Travel Adventures of 2017, Part 3 covers the Best Food and Beverages of the year and part 4 tells you all about our Top Travel Gear of the year. Views of the Cordillera Blanca from the yellow room at Cuesta Serena Boutique Hotel in Peru. 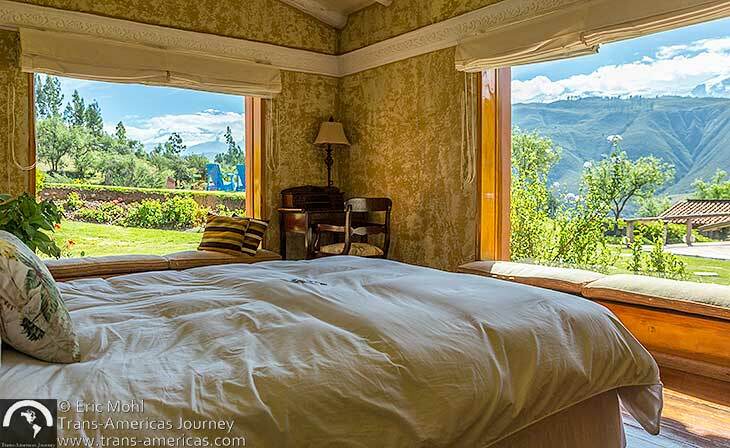 Best bed with a view: Book the yellow room at Cuesta Serena Boutique Hotel, a stylish and homey retreat near Huaraz, Peru. With huge windows on two sides, this rooms offers spectacular views of the Cordillera Blanca mountain range including Huascarán which is the highest mountain in Peru and the fourth highest mountain in the Western Hemisphere at 22,205 feet (6,768 meters). Hotel Atix in La Paz, Bolivia. 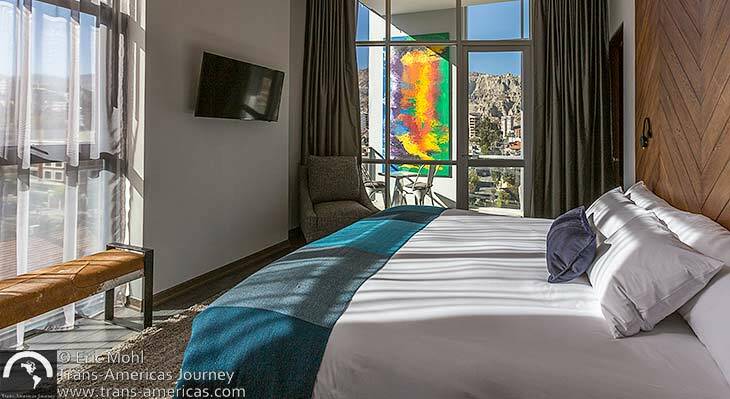 Best boutique hotel in La Paz, Bolivia: The capital of Bolivia got its first boutique hotel (albeit, on the large side with 53 rooms) when the Atix Hotel (atix means “the one who thrives” in the Quechua language) opened in La Paz in 2017. Rooms are more or less as you’d expect, though native wood headboards, their own bottled water, and universal electrical outlets are nice touches. The public spaces are full of large-scale, modern art by Bolivian artist Gastón Ugalde, the plunge pool in the rooftop bar is a surprise (though mostly for show), and the hotel restaurant has big ambitions. When you make a reservation directly on the hotel’s website a portion of the rate goes to the Alalay Foundation. The plunge pool at Inboccalupo boutique hotel in Santa Cruz, Bolivia. 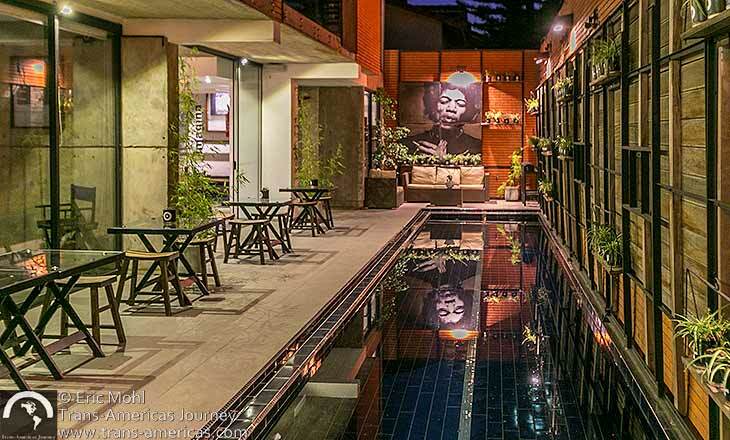 Best boutique hotel in Santa Cruz, Bolivia: If we were surprised by the Atix in La Paz, we were flabbergasted by Inboccalupo in Santa Cruz. 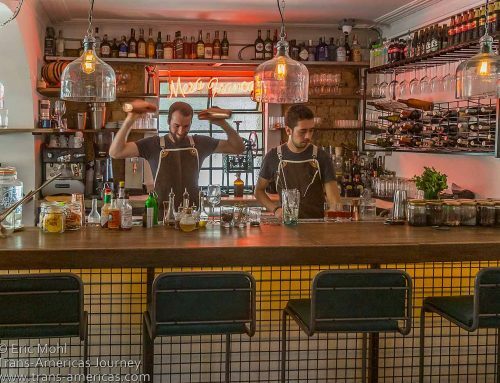 Also opened in 2017, it nails the boutique hotel manifesto: a passionate owner with a vision for the style and service of the place, a fearless playfulness, all the comforts. Twenty rooms, including six duplex suites which are more like small apartments, all have a different theme (National Geographic, A Clockwork Orange, The Beatles, etc. 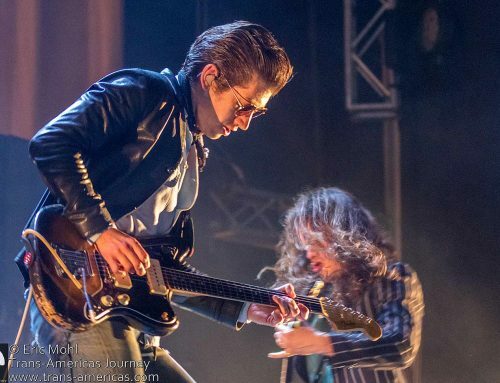 pulled off with flair. 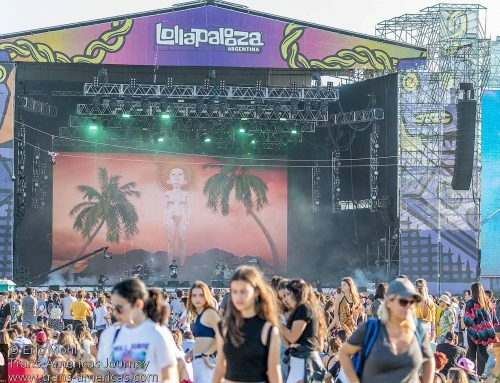 Try to ignore the somewhat frustrating website and just book a room. Serious beach vibes at Hotel Apacheta in Arica, Chile. 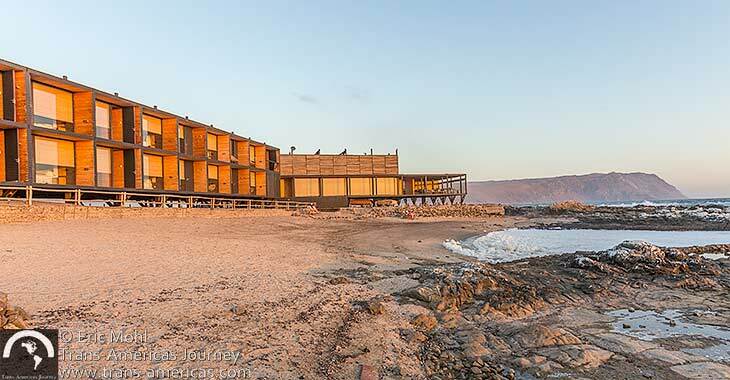 Best beach hotel: It’s been a long time since a hotel has given us a cool California beach vibe, but that’s exactly what you get at Hotel Apacheta in Arica, Chile which offers 18 rooms (all with ocean views) so close to the Pacific that it nearly laps at the foundation. Opened in 2015, the hotel has a found-object chicness with simple pine boards, wicker furniture, subdued colors, and stark angles working together to create a lot of beach house cool. Cabañas Umajalanta near Totoro, Bolivia. Best community run hotel: Cabañas Umajalanta is about 15 minutes from the town of Totoro, Bolivia which is the gateway to Totoro National Park. 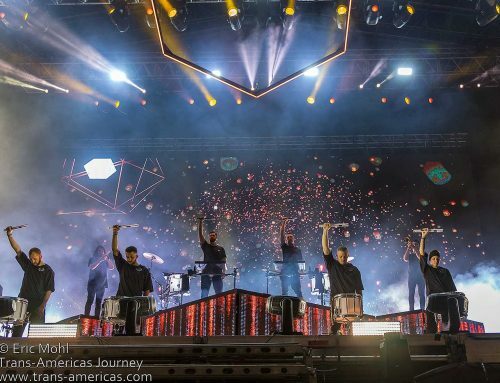 Opened in 2014, it’s a community project operated with a Swiss NGO and Tupiza Tours. 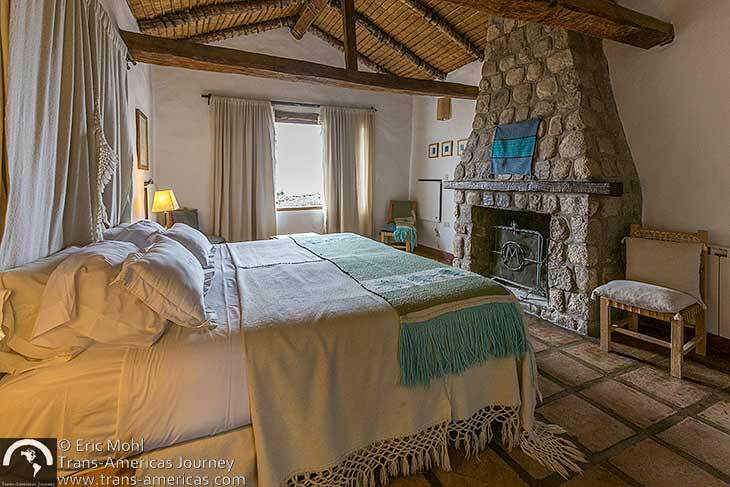 It offers three standalone cabañas, each with two rooms that sleep up to three people including private bathrooms, a glassed-in area that creates a warm greenhouse effect, great views, and good beds (240Bs, about US$35, including breakfast). Members of the local community built the place and all the furniture and only locals are employed which is benefiting dozens of local families. 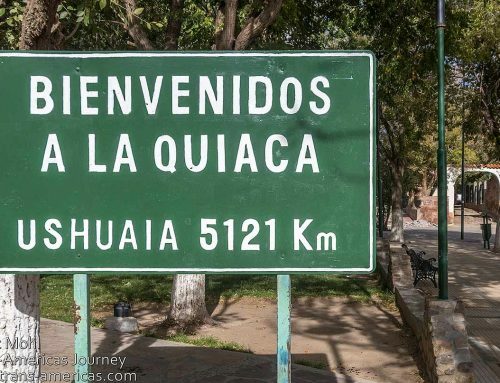 Even if you don’t stay here, you’ll pass the place on your way to the Ciudad Itas area of the park, so stop in for a delicious traditional lunch (30Bs, about US$4.50). Room #10 at Estancia Las Carreras in Argentina is in a building that dates back to 1779. Best room from 1779: There are just 10 rooms at Estancia Las Carreras in Tafí de Valle, Argentina which is part of a 22,240 acre (9,000 hectare) working dairy farm. Room #10 is in a building that was built by Jesuits in 1779. It has a traditional bamboo, grass, and rawhide ceiling, original tile flooring, and thick adobe walls but its far from a monk’s cell. 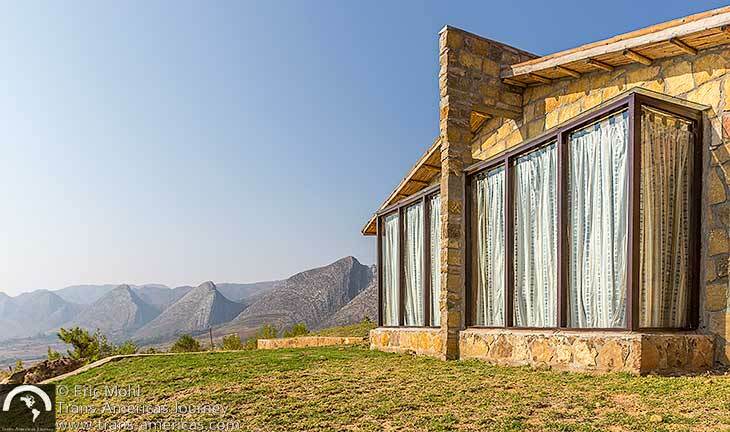 Estancia Las Carreras has been in the same family for 10 generations and the current owners have ensured that even this historic habitation has a completely modern bathroom and a working fireplace. Estancia el Bordo de las Lanzas, near Salta, was built in 1609 and is one of the oldest estancaias in Argentina. Best room from 1609: Estancia el Bordo de las Lanzas in Northern Argentina, near Salta, is one of the oldest estancias (farms) in Argentina. Parts of the building dates back to 1609 and rooms here are part museum, part hotel but never stuffy thanks to the vibrant and thoroughly modern family members who are running the place. While preserving history, they are perfecting rustic hospitality with great food and generous service. The spectacular setting of Refugio Los Volcanes Eco Lodge in Bolivia. 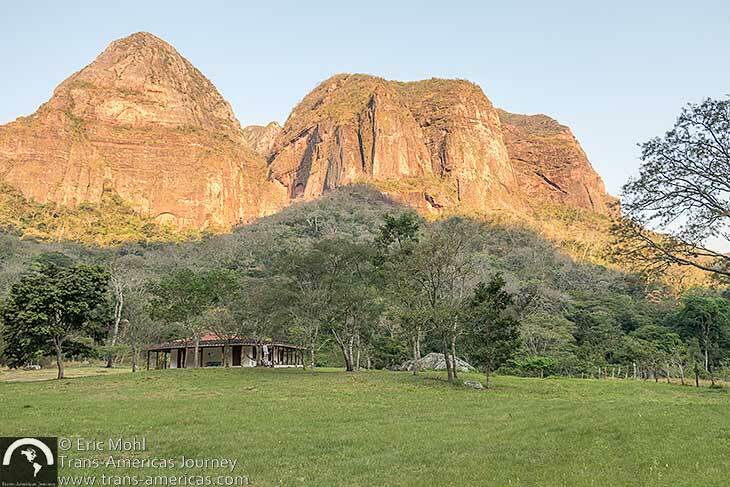 Best place to unplug: Refugio Los Volcanes Eco Lodge, between Samaipata and Santa Cruz, Bolivia, is located next to Amboro National Park in a setting that reminded us of Yosemite Valley. This all-solar retreat is so remote that there’s no cell or Wi-Fi service. Unplug and hit the trails, look for condors, swim in waterfalls, and enjoy the good honest food courtesy of long-time staff from the nearest village. Despite a steady stream of new comers, Hotel B in Lima is still a top hotel in Peru. 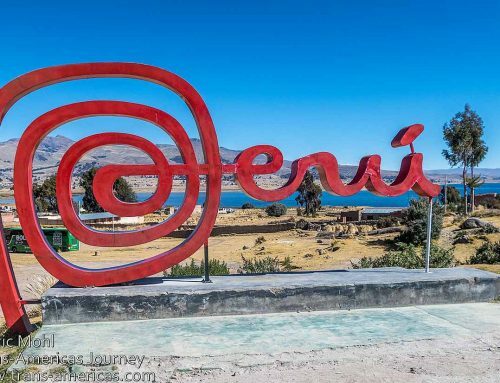 Best boutique hotel in Peru: The range and quality of hotels in Peru keeps improving and during our nearly 18 months of travel in Peru we’ve stayed in most of the country’s top hotels. 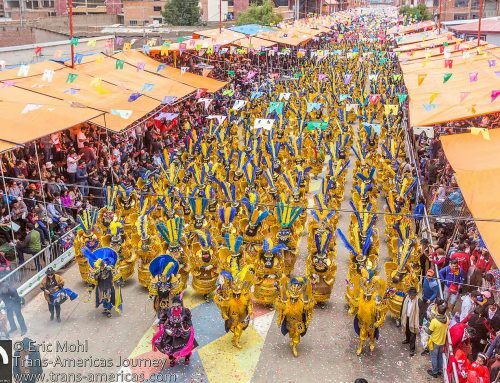 Despite increasing competition, Hotel B, opened in Lima in 2013, is still top of the heap. 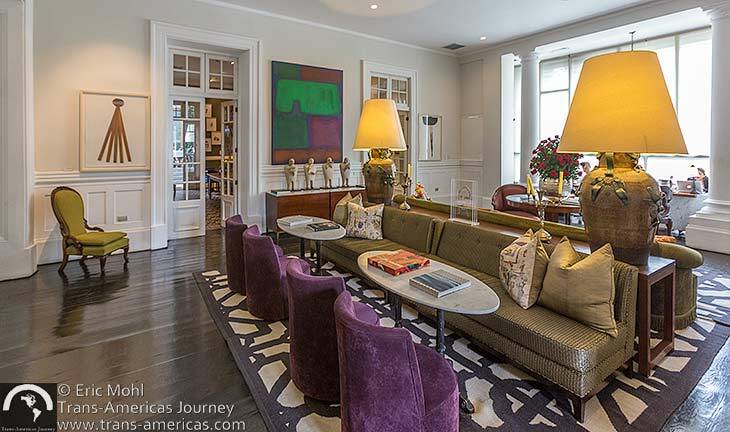 The converted mansion is filled with art and opulence and the staff can’t be beaten. It’s also a Relais & Chateaux property and attention to cuisine is apparent even in the breakfast buffet. Look for new rooms and amenities, including a pool, to debut in 2018. 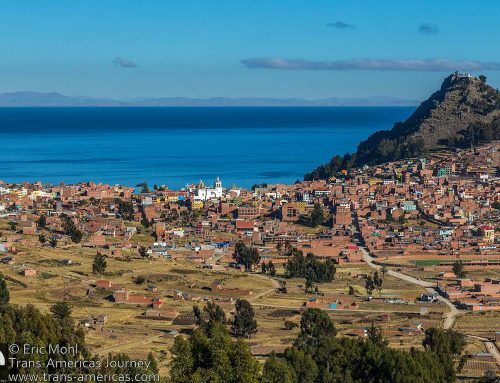 Best value for money: You can certainly find cheaper digs in Huaraz, Peru. However, we doubt you will find better value for money than Villa Valencia Hotel and Bungalows. 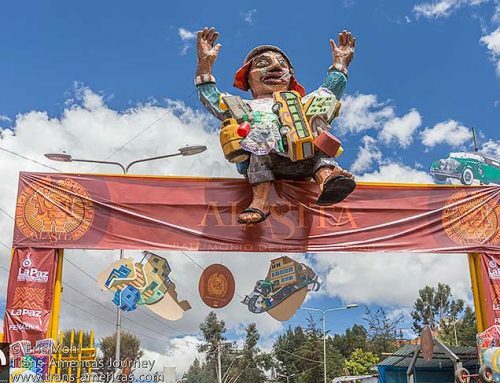 Located about a 10-minute walk from the center of Huaraz, they offer super-clean double room with lots of light and space including a kitchen, a dining table and sofa, a bedroom, and a private bathroom. Cable TV, W-iFi, parking, a superb included breakfast, and very helpful staff round out this good value package (we paid US$30 for our room). 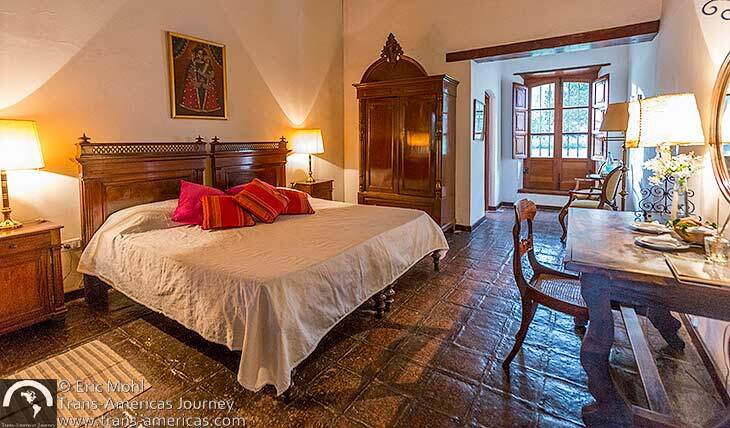 The buildings, art collection, and history at Hotel Museo Cayara in Bolivia date back to 1575. 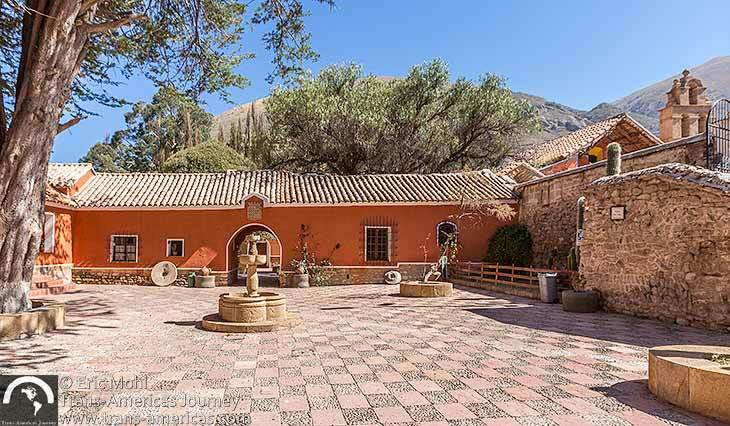 Best museum hotel: Hotel Museo Cayara, outside Potosi, Bolivia, was originally built in 1575 (some paperwork indicates even a few years earlier) by a colleague of Spanish conquistador Francisco Pizarro. It’s been owned by two marquisas and hosted revolutionary hero Antonio José de Sucre (you can still see the intact bedroom where he slept). In 2010 the hacienda was renovated and turned into a 17 room hotel which is dripping with art and history. 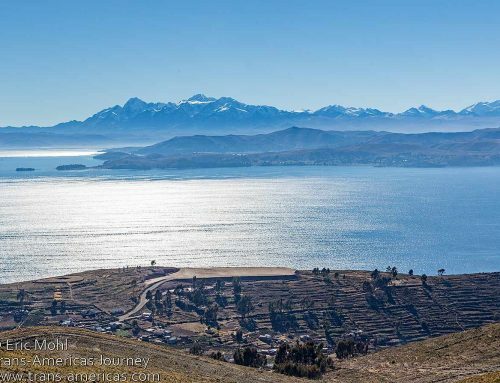 Rooms have antique religious art, good beds, modern bathrooms, and heating (it’s located 2,000 feet / 600 meters lower than the city of Potosi, it’s still cold). All staff comes from the local village and breakfast features butter and milk from the dairy farm that’s still operated on the large property. The playful keychains at Atemporal in Lima, Peru are just one example of the attention to detail that makes this boutique hotel special. Best key chains: There are nine rooms at the hip Atemporal boutique hotel in Lima, Peru and there are also nine letters in the word atemporal. So the playful owners, who excel at attention to detail, decided that each room key would come on a keychain featuring an oversized letter from the hotel’s name rendered in chic black velvet. And, yes, a hotel that drills down to that level of detail has the rest of the hospitality puzzle figured out too. Two of the rooms at El Huarango hotel in Chile which is made mostly out of boulder-like chunks of salt from the surrounding desert. Best value hotel made out of salt: In 2004 Marco and Coco moved to a spot near La Tirana, Chile where they didn’t just settle in the desert, they settled in a salt-encrusted desert. They moved into a tent and began building El Huarango almost entirely from boulder-like chunks of salt from their land. El Huarango is named for the Quechua word for a mimosa-like species of tree that grows there but, ironically, it’s shrub-like and not good for building which is why salt was used. 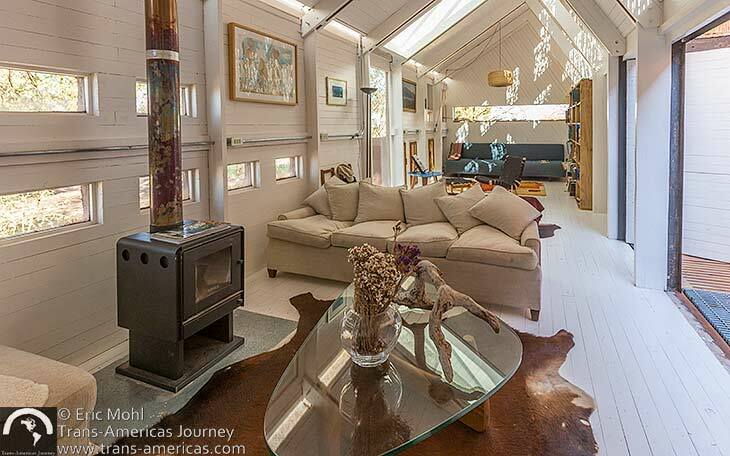 Coco and Marco now offer four stylish and comfortable rooms and one cabin with a kitchen, two bedrooms, and a bathroom, plus camping spots and an RV spot all within the serenity of their 45 acres (18 hectares) of desert. The place is off the grid with solar power and meals are cooked on a solar cooker. Almost everything is made from neatly cut blocks of salt at Luna Salada Hotel del Sal at the Uyuni Salt Flat in Bolivia. Best spendy hotel made out of salt: It’s all salt all the time at Luna Salada Hotel del Sal & Spa. 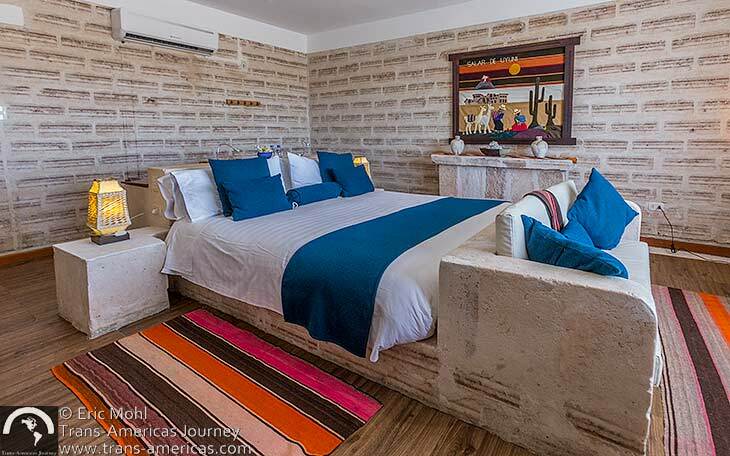 First of all, almost everything in this 49 room hotel is made of precisely cut blocks of salt from the famous Uyuni Salt Flat, the largest in the world. This includes walls, ceilings, floors, tables, benches, fireplaces, the spa, numerous sitting areas, and more. 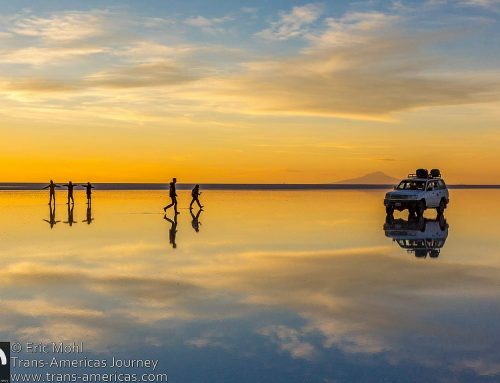 The hotel is also built on a low rise on the edge of the Uyuni Salt Flat, so even your views are made of salt. It’s worth splurging on the newer rooms. 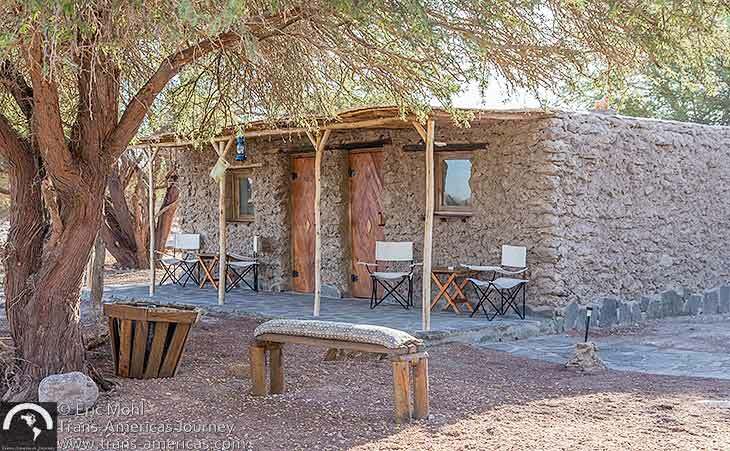 Desert House near San Pedro de Atacama, Chile was our favorite Airbnb rental of the year. Best Airbnb: Over the past year or so we’ve ended up staying in more and more Airbnb accommodations. Desert House, in the village of Solor near San Pedro de Atacama, Chile, stood out from the crowd. Valentina and Diego (and their daughter Sofia) offer a private room with bathroom plus use of the kitchen, living room, washing machine, parking space, Wi-Fi, and a full breakfast including bread and chocolate croissants from the French baker in town, fresh juice, fruit, yogurt, coffee and tea, eggs, cheese, and meat served on a gorgeous inlaid wooden table from Switzerland. Diego is a poet and Valentina is an archaeologist and director of the acclaimed museum in San Pedro de Atacama. Their Desert House, an experimental modern design completed in 2016, features white washed wood, soaring ceilings, a grated floor and elevated area for poetry readings and art installations, and skylights positioned perfectly for seeing stars from bed.